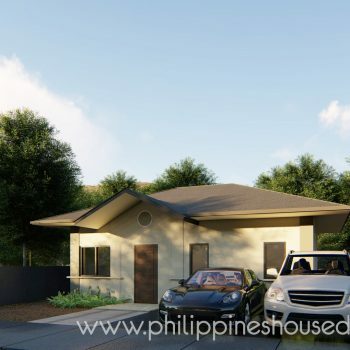 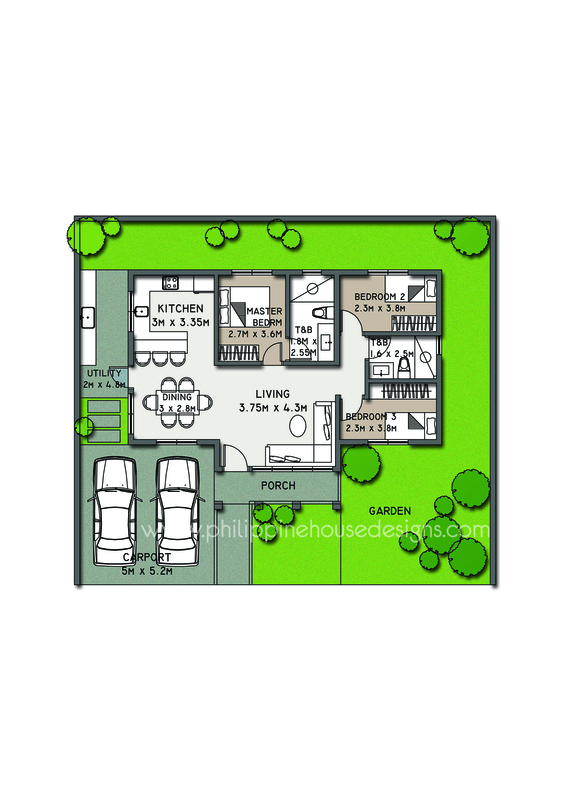 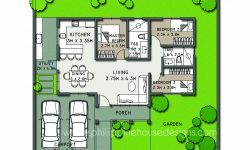 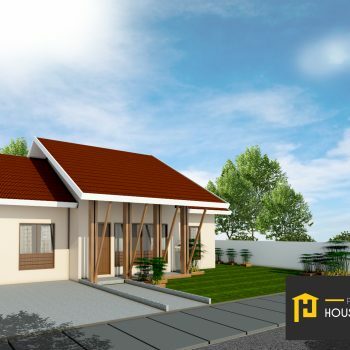 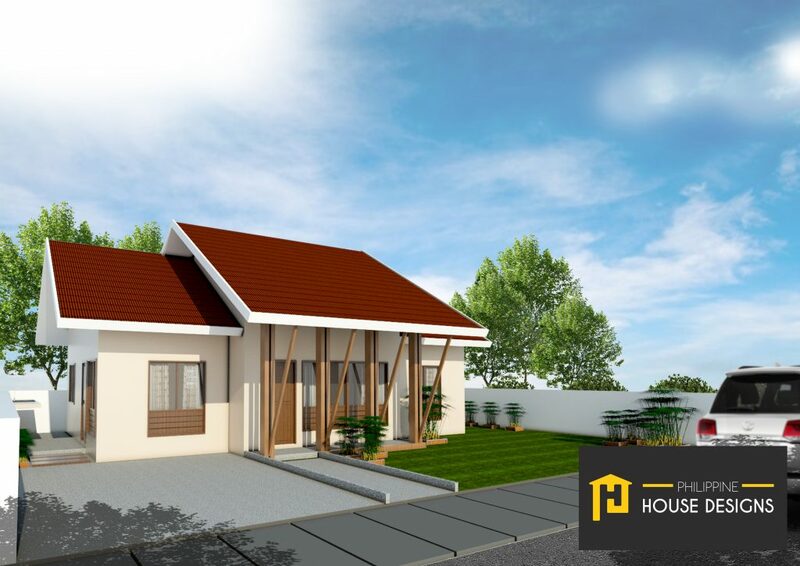 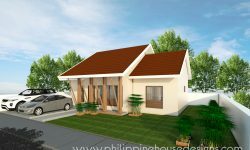 This single-story simple house is a modern take of a Filipino house. 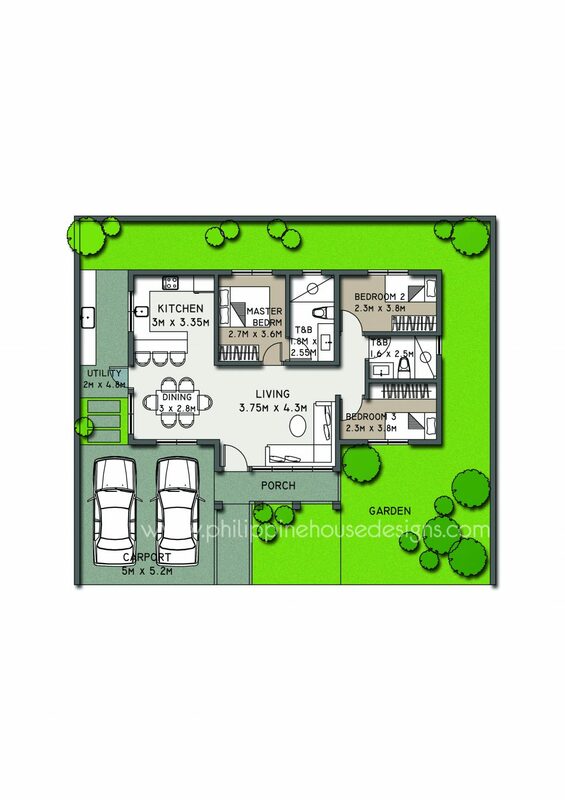 With minimum 2 meters setback at all sides, it allows for a utility area at one side, and a garden all around. 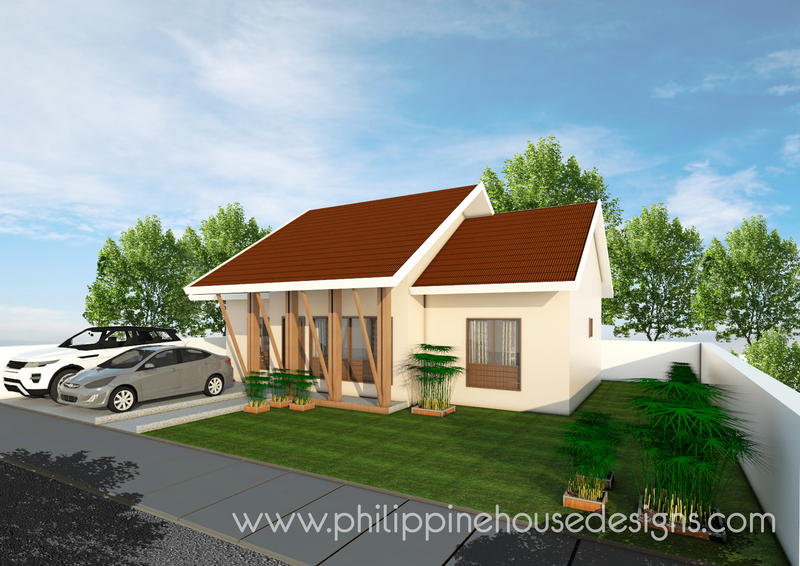 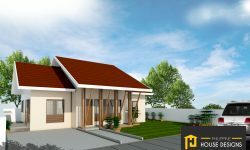 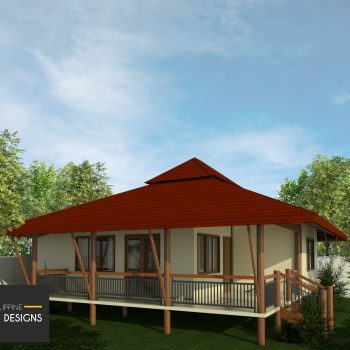 The highlight of the house design are the tukod posts that are an interpretation of the posts that hoist up the windows in a traditional Filipino house. 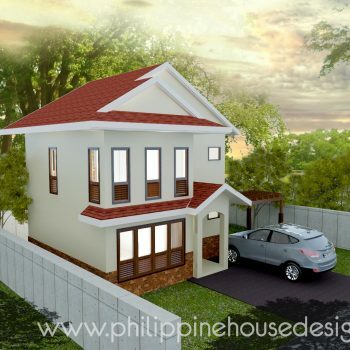 The window design is also unique feature that represents the ventanillas of the bahay kubo.